The City of Jeffersonville’s Waste Water Department Director Len Ashack announces the following road closures will occur as part of the Utica Pike Sewer Project. Allison Lane will remain closed from 505 to Utica Pike until 1/16/13 in sections as shown on the map and indicated in ORANGE. Utica Pike will be closed from Allison Lane to Longview Drive from 1/14/13 to 2/15/13 on weekdays and nights in sections as shown on the map and indicated in GREEN. 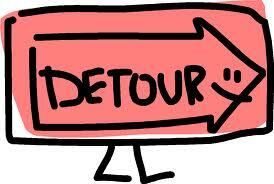 Utica Pike and Allison Lane will both be closed at their intersection from 1/14/13 – 1/16/13. The contractor, Dan Cristiani Excavation Company Inc. will update the City’s Board of Public Works of the road closure schedule as construction progresses. Director Ashack stresses that is it very important to note that no-semi trucks are allowed to use the detour during the road closures. Cristiani Excavation Company has advised Ports of Indiana to remind all companies within The Port of Indiana — Jeffersonville that their drivers cannot use Utica Pike to enter the Port. Please click HERE for the updated map of the closures and detour, and thank you for your patience as we work to improve our city’s infrastructure!